David is a Clinical Assistant Professor at the University of Texas Health Science Center, San Antonio. Dr. Senn is the Director of C.E.R.F., the Center for Education and Research in Forensics at the University of Texas Health Science Center-San Antonio Dental School. He is a Member of the National Disaster Medical System Disaster Team (DMORT) region VI. Dr. Senn practiced general dentistry for twenty-two years and has practiced and taught forensic odontology exclusively since 1992. 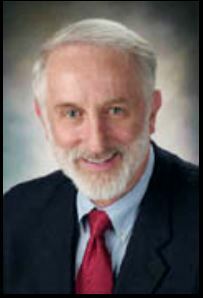 He is a Diplomate, and past-president of the American Board of Forensic Odontology, a Fellow in the American Academy of Forensic Sciences, a Director of the Forensic Specialties Accreditation Board (FSAB), and Co-Chairman of the Odontology Committee of the Scientific Working Group for Disaster Victim Identification (SWGDVI). The Australian Society of Forensic Odontology is holding its second Symposium again in Darwin. Dr Senn will be supported by local speakers, and we will be organizing several workshops to complement the lecture program. Full details of the program will be available, along with registration details nearer the time. Mark the dates in your calendar now!